The government shutdown from December 22, 2018 to January 25, 2019 was the longest in US history and its effects could be felt throughout the nation. With countless stories of its negative effects on our public lands,Friends of the Inyo couldn’t passively stand by and let that happen here in the Eastern Sierra. 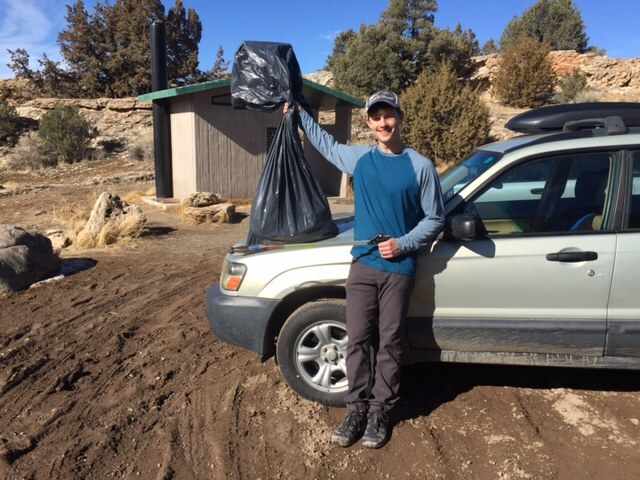 We organized trips to Travertine Hot Springs, Buckeye Hot Springs, Mono Lake Scenic Overlook, and Wild Willy’s Hot Springs to pick up trash and encourage others to care for these places as well. Although a simple idea, picking up trash can be a powerful tool. 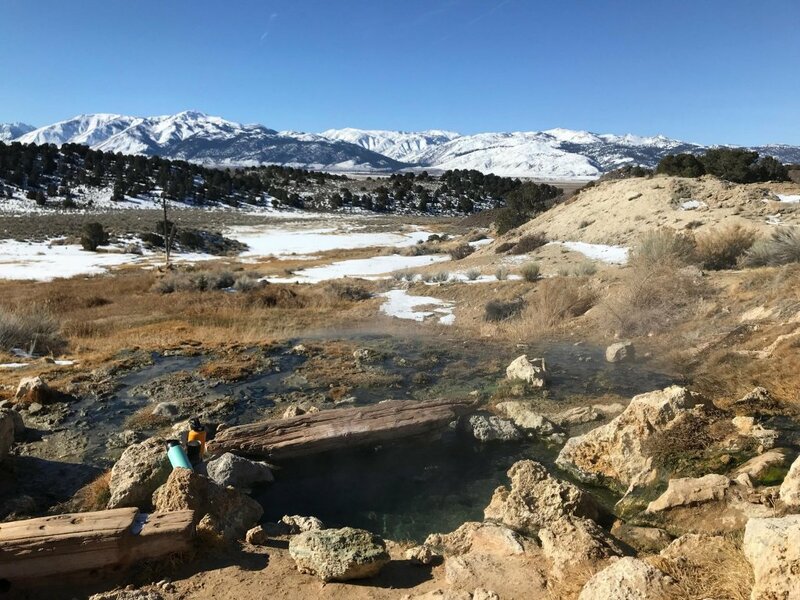 On the morning of January 10th, I drove up to Travertine and Buckeye Hot Springs. I had no trouble filling up my trash bag with frozen towels and clothes, empty bottles and cans, and numerous cigarette butts. I smiled and said hello to the folks enjoying the tubs who looked curiously at me. Instead of a towel and a beer, I carried a sagging trash bag in one hand and a trash-grabber in the other. “Are you picking up trash? Thats great! Thank you so much!” They were quick to reassure me that they would pack out their trash. I told them about Friends of the Inyo, gave them a few stickers, and left them to enjoy their views. 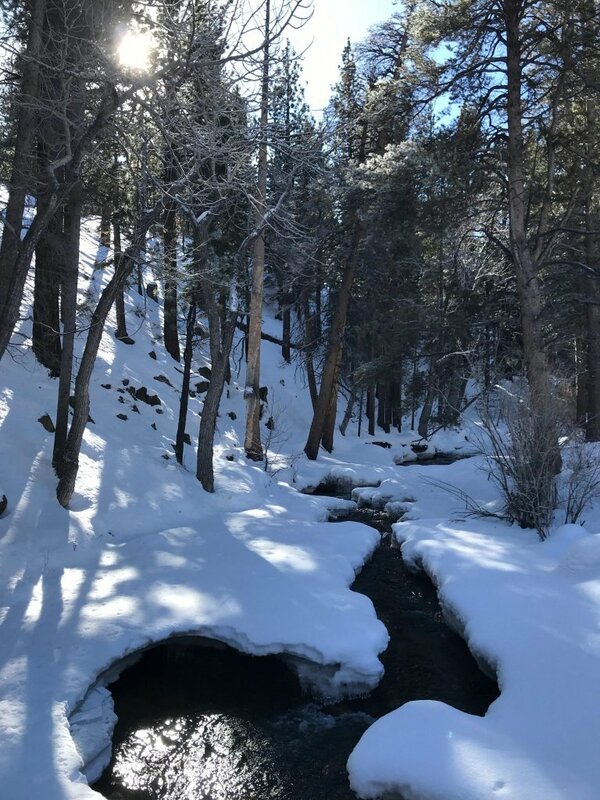 The recent snowfall made for a more daring drive to Buckeye Hot Springs. Trash was more scarce here, perhaps because access was more difficult or because the pools are adjacent to a stream and there were less flat open areas. My visit was short, but again I said hello to the visitors and told them why I was there and then left them to enjoy their solitude. And again they smiled and assured me that they would pack out all of their trash. On my way back to Bishop, I stopped at Wild Willy’s, which by far had been the most heavily trafficked of all my stops. With the seasonal road closure, I made the 30-minute walk down to the pool. I passed more than a dozen folks making their way back to their cars. Appropriately their first question was, “Are we almost there? !” and their second was, “Hey, are you picking up trash?” Every single person I saw was eager to tell me that they packed out all of their trash. As I walked down the road there were a few bottles and towels along the bushes. At the hot springs, a few bottle caps and clothes were frozen in the mud. I found a big pile of towels, bottles, and cans lying next to the outhouse under the sign that read, “Pack it Out! 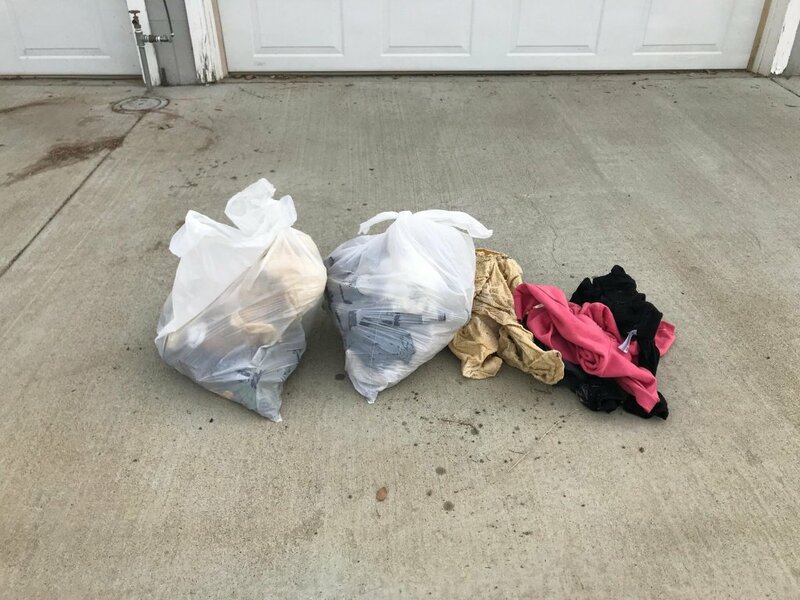 No Trash Service.” I filled my trash bag until it began tearing and then strapped the frozen towels, pants, and dog toys to my backpack and started the long walk back. I passed another dozen-plus people walking to the hot spring. I used the opportunities to tell them about Friends of the Inyo and to rest my arms from carrying all the trash! Bryan Hatchell, our Desert Lands Organizer, planned to take time from his schedule to make another trip at the end of January which ended up being only days after the showdown ended. Regardless, he visited the Travertine Hot Spring where he packed out towels, socks, bottles, and micro-trash. 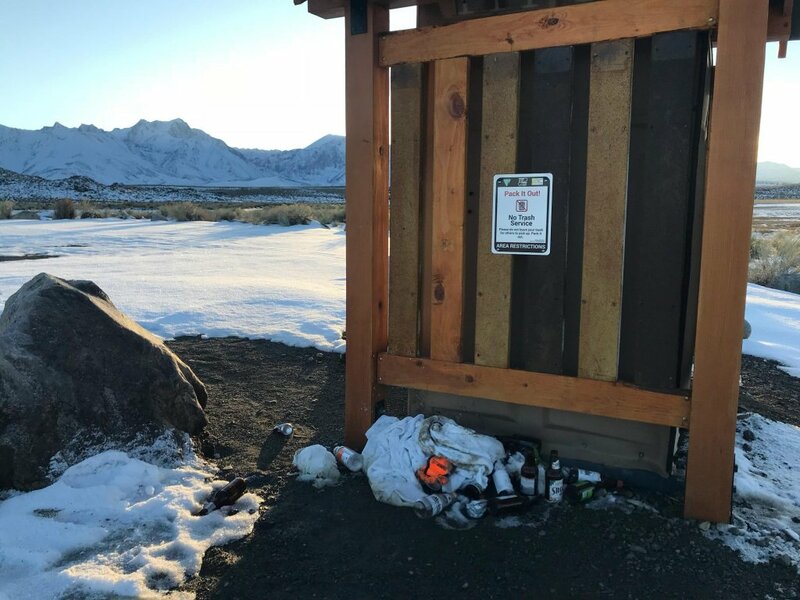 On his way back, he stopped at the Mono Lake Scenic Overlook off Highway 395 and picked up diapers, bottles, car oil cans, and other trash. Another successful trash pick-up! Picking up trash is a simple idea, but it can be a powerful tool in the hands of many. I realized that even though I was only one person, the numerous people that I encountered not only felt accountable to pack out their own trash, but felt further empowered to do so because they would be part of something that they knew others were doing. At no credit to myself, these responsible people that I met at the hot springs could be an example to others and inspire them to do the same. I am not the trash police, nor do I want to be. But you and I can encourage others to act responsibly only if we lead by example. I can’t thank you enough for your efforts and thoughtfulness in keeping our awesome wild places clean. 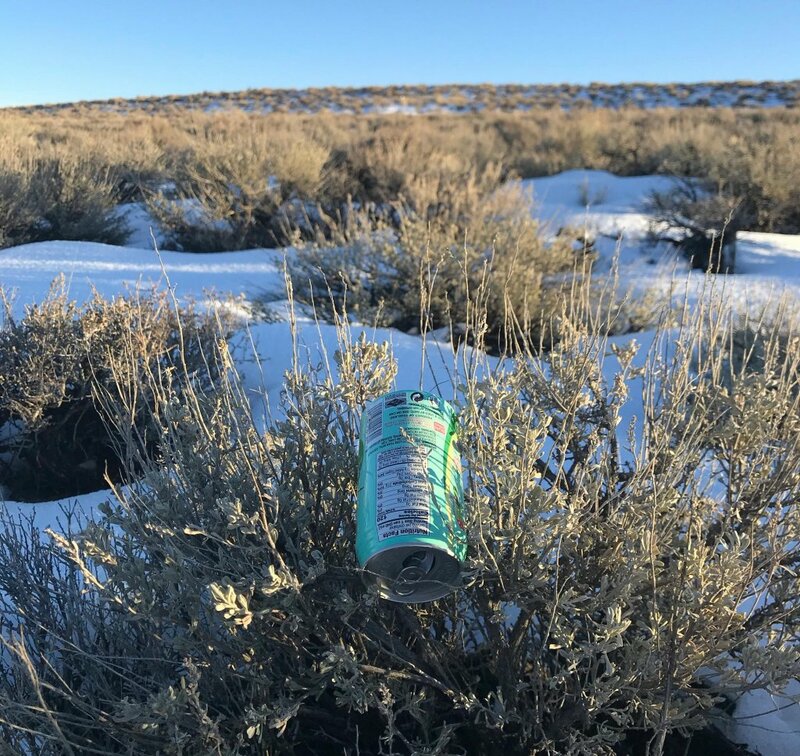 Being a long-time land owner in the White Mountains, I too practice collecting trash whenever I see it. I value Friends of the Inyo!